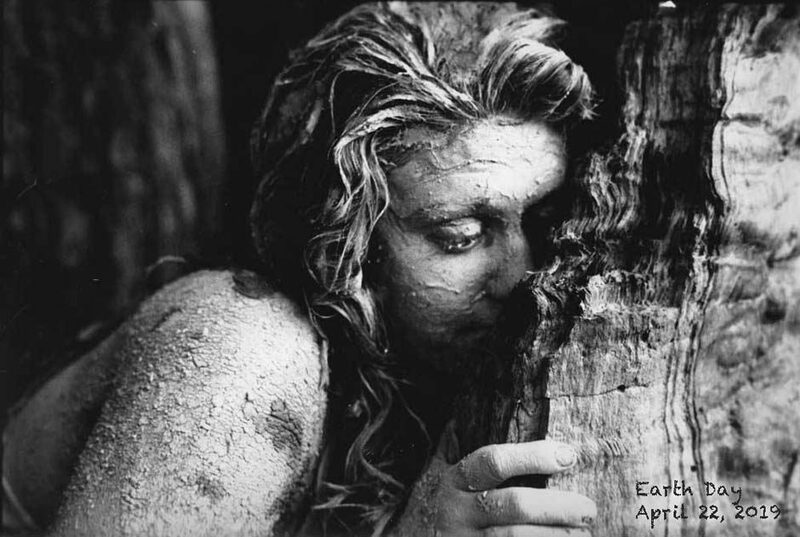 Einar Christensen appears to have been following forestry issues for a while. Writing an Op-ed in the Chronicle Herald (OPINION: A hierarchy of sustainable forestry), he comments that forest management in Nova Scotia “has been deteriorating for years but was really helped along by the former minister, Lloyd Hines”. He cites Hines’ opinion piece, A scientific approach to logging (CH, Nov. 5, 2016), as evidence. Then he offers some thoughtful suggestions about how we could pursue sustainable wood harvesting in Nova Scotia. The most important principle is to harvest a forest at a pace slower than it can regenerate itself. As well, we should obtain the highest end use for each tree and section of forest that we do harvest. How can we determine the overall best use of a forest or wood product while still protecting and enhancing its value? By following the “hierarchy of sustainable forestry harvesting” noted below, we should be able to determine the “optimal” use of this limited and valuable resource. Even more important, this hierarchy can be used for any size of forest or woodlot — from one acre up to thousands of acres. 1. Leave it in place (including the 12-per-cent legislated protected land) for biodiversity, wildlife habitat, recreation and tourism purposes. This is the highest end use for forests in the province. This will also ensure that the trees will continue to absorb carbon dioxide until they are sustainably harvested or die naturally. 2. Harvest it sustainably to produce lumber for building construction or furniture making. Retaining wood “as wood” stores the carbon contained within it for the lifetime of the product. 3. Harvest it sustainably for pulp operations. The major problem with this operation is what to do with the “waste” wood products that are left over after this process. An added detriment to this practice is that sections of forest are often clearcut to procure the pulp wood. A further detrimental effect is that these areas are often replanted with a monocultured species of softwood (kept pure by spraying). This practice, of course, will never restore the forest to anything close to its original (hardwood and softwood) Acadian Forest species mix. 4. Harvest it sustainably for heating fuel. This includes manufacturing wood pellets. Much of the genuine wood waste produced from operations 2-6 could be used at this step. 5. Harvest it sustainably for power generation — preferably co-generation. Under no circumstances should this step involve harvesting whole trees, as is now happening in the Port Hawkesbury (misnamed) “renewable” energy operation. 6. Harvest it arbitrarily (and unsustainably) to produce wood chips for heating or power generation. 7. Cut it down with no particular use in mind. This should never be done. 8. Burn it “in situ.” This is the most destructive option for forests. Using this simple hierarchy, we can ensure that we obtain the optimal benefit from our forests while at the same time preserving them for future generations. If you want to learn more about Nova Scotia’s forests, I recommend reading Jamie Simpson’s book, Restoring the Acadian Forest, published by Nimbus. Read more in OPINION: A hierarchy of sustainable forestry (Chronicle Herald, Dec 13, 2017). Einar Christensen signs off as “a freelance writer from Halifax”. I don’t know him, but I figured he was being modest. His nuanced comments 4-8 reflect some of his background he wasn’t mentioning. Thanks for your contribution to the public discussion of forestry issues, Einar. I hope the Independent Review takes note(s). Einar also comments on Minister Hines’ announcement of a DNR Science Advisory Committee (actually a Forest Biodiversity Science Advisory Committee) in his All-is-well Forest Science piece. It is interesting to note the makeup of this committee: All six members possess PhDs, (four are from academia, two from DNR); there are no women, no Indigenous members, nor any (public) members-at-large. It seems to me that including members from “the real forestry sector” — e.g. a woodlot owner, a forester and a member-at-large — would better ensure more unbiased forestry advice for the minister. I have to wonder what he thinks about the make-up of the Advisors to the Independent Review of Forestry Practices: 7 advisors including 4 PhD professors, 3 forestry consultants (two from one Ontario firm – one a PhD – and one from BC) and the DNR Science Advisory Committee with its 6 PhDs is also serving in an advisory role to the Independent Review. So that’s 10 PhDs* and, like Hines’ Science Advisory Committee, “no women, no Indigenous members, nor any (public) members-at-large”. KO: Quite willing to share pictures of good forestry practices. Suggestion. Why not post some pics to your page and W&WNS will provide a link to it. . .
GF: selection cutting and merchantable thinning are often carried out on private lots by owner . its only at near death or after are these lots actually cut . …cut to pay estate taxes. 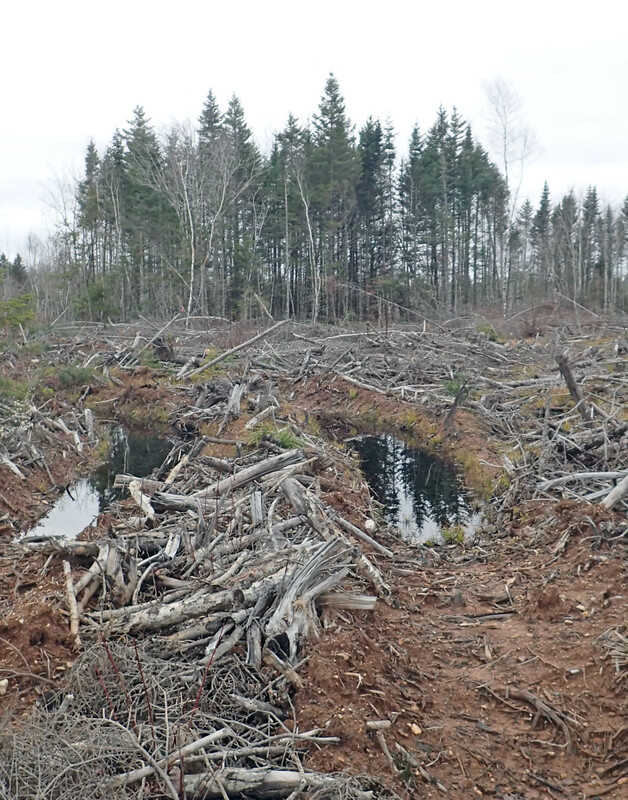 RD: While I’m sure the author of this article has genuine concern for the state of our forests in NS, this article is full of inaccuracies and generalization of a complex subject. The author appears to have little more than a cursory understanding of forests and the forest products industry. In the opening paragraphs clearcuts are described as “desolated area that cannot support the forestry industry, let alone wildlife of any kind”. Tell that to someone who runs a brush saw doing Pre-Commercial Thinning and they will tell you stories of all of the songbirds, hare, partridge, porcupine and even deer they see in these young forests on a daily basis. Tell the landowner that their forest will no longer support the forest industry and they will point out acres of trees with leaders of 12″ or more and putting on lots of new growth every year. I have Commercial Thinned stands as young as 22 years old and seen them deliver studs and pulp (at around a 50/50 ratio) to the various mills through the province. The next entry into the stand will see the far more high value studs and sawlogs than pulpwood. To say these are desolated areas is simply fear mongering. They mention that clearcutting should only happen under “very special circumstance” and still be considered sustainable. Does that mean that we should be thinning in 50+ year old Balsam Fir stands? There are lots of them around and more to come. Clearcutting is a useful and valid silvicultural tool it is just abused and prescribed far too often. I agree that on many sites it is like using a sledgehammer to pound finish nails. The forest industry has a longs ways to go to truly be sustainable but like Kyle said before more there is a lot of good work going unnoticed in the woods of NS. It is very disheartening to see the whole industry constantly painted with one broad stroke. Woods and Waters Nova Scotia: Valid points. Without question there are good people doing good forestry. But as the saying goes “one bad apple can spoil the bunch.” and it’s the industrial strength scorched earth practices people so vehemently oppose. This is a good video to demonstrate how disturbed forests can be good for wildlife.We certainly don’t need to be working to create more in NS, they are overabundant and it’s probably time for a cull right now. Comment by DG, Dec 17, 2017: Daniel George I live in one of the regions that has been hit the hardest by industrial forestry and we have the lowest population per square mile in NS and we have no wildlife left.Even birds are scarce here.Connect the dots.DNR officers are more concerned with minor violations than addressing why our former forested areas are no vacant of life. This entry was posted in Independent Review, Letters&Editorials. Bookmark the permalink.